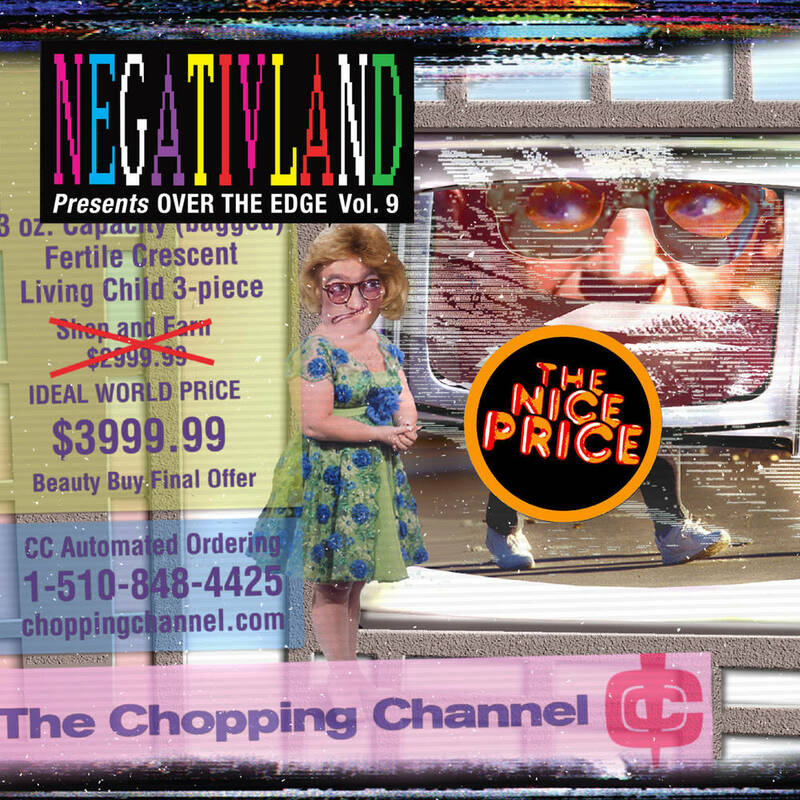 Negativland is excited to announce our newest album: “The Chopping Channel”, which is Volume 9 in the ongoing series of albums edited from our long-running live­mix radio show, Over The Edge. Atop an atomized mix of thousands of fragmentary samples, remulched into one continuous and time-saving stream of music, the salesmen (and woman) of the Chopping Channel dare to sell you the music you're already listening to, as well as the flesh-and-bone essentials you’ll need to survive in the global years to come. This project was completed before the deaths of Don and Richard, and it will be released on October 21, 2016. 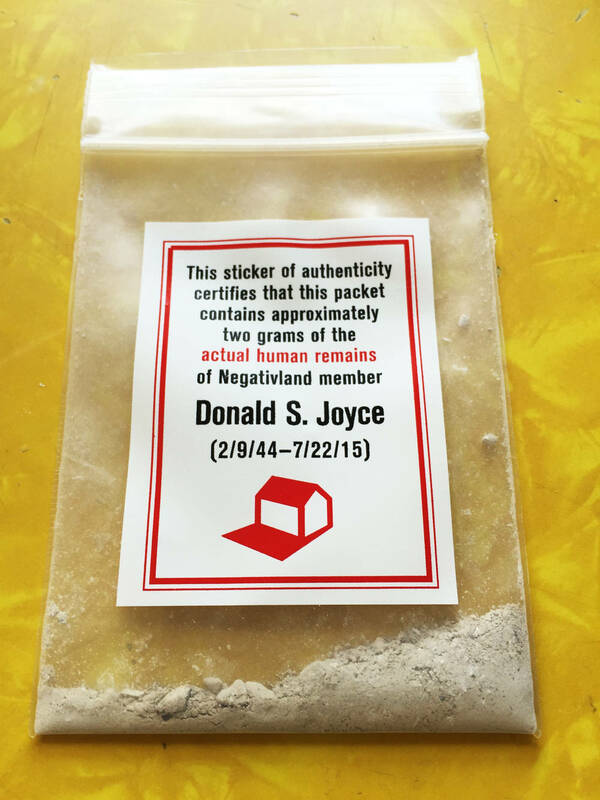 In keeping with the album’s theme, and while supplies last, each mail order copy of this new project comes with two very unique extra items: two grams of the actual cremains, or ashes, of deceased Negativland member Don Joyce, and one of Don’s handmade audio tape loop “carts” used in the creation of Over The Edge and Negativland live performances between 1981 and 2015. This is not a hoax. We’ve decided to take the Chopping Channel concept to its logical conclusion by “productizing” an actual band member. 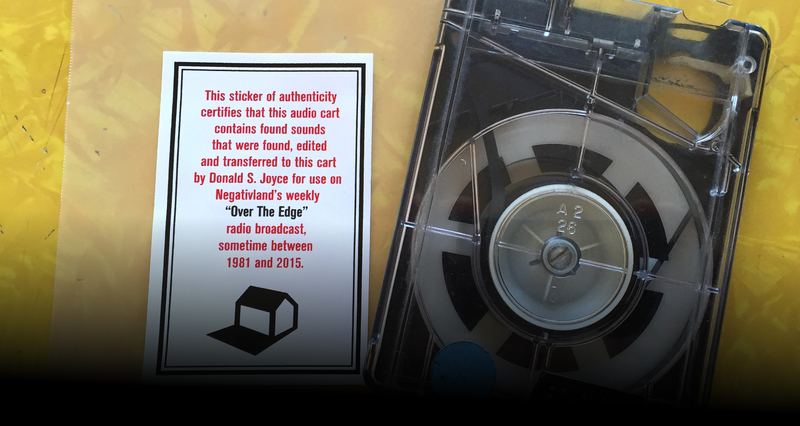 It is also a celebration of the degree to which no idea in art was ever off-limits to Don, and offers a literal piece of him, and of his audio art, for the listener to repurpose and reuse. We are pretty sure he would have wanted it this way.